Leeds West Academy with its distinguished history of performing arts teaching was the venue on Saturday for the Wharfedale Festival of Theatre’s annual Awards Evening. 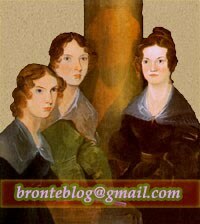 This new version does not follow Jane Eyre exactly, but rather is inspired by it. Unlike its predecessor, Brightly Burning skips over the main character’s early years and begins her journey as she leaves her home to begin a better life and new occupation. But like Jane, Stella too is an orphan whose aunt despises her and casts her out, leaving her to suffer the indignities of society’s class system, but she never whines or complains about it. Also like Jane, Stella finds herself in an awkward and complicated relationship with her mysterious employer and is witness to repeated bizarre incidences in her new residence, all of which are either ignored or hastily explained away by the other inhabitants. The original novel was a gothic romance, with its elements of mystery and tragedy intertwined with the love story and highly intense emotional moments. This futuristic version is similar in that it also isn’t a traditional romance, yet it’s not a modern-day angsty teen jaunt either. Instead, the book centers on the heroine’s circumstances, struggles, and personal growth, with romantic love almost a secondary aspect, and that has all to do with the strength of the main character. 5. Which Jean Rhys novel chronicles the life of Antoinette Cosway, Mr Rochester’s mad first wife? By the way, Jane Eyre 2011 is described as 'magnifique' in Le Bleu du Miroir. Emily Brontë as suffering from insomnia in Politiken (Denmark); Expreso (Perú) talks about Georges Bataille and mentions his essay on Emily Brontë in La Littérature et le Mal. Hey, hey! Hannah listened to the latest BBC radio adaptation of Wuthering Heights, so now we can properly talk Heathcliff! We also interview Judith Pascoe, writer of On The Bullet Train with Emily Brontë, and discuss the popularity of Wuthering Heights in Japan.